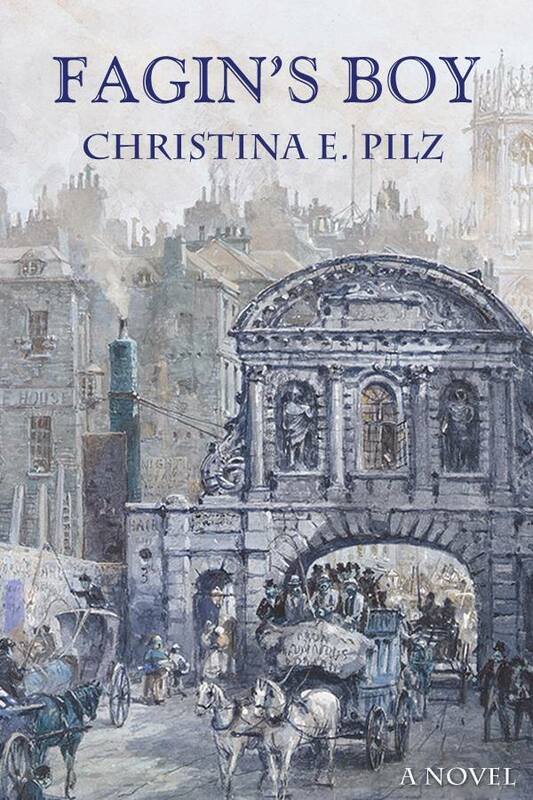 Well, the virtual tour for Fagin's Boy by Christina E. Pilz is officially over but we're not quite ready to stop talking about this fabulous book! Today I am pleased as punch to welcome Christina to Passages to the Past. She's here with a fascinating post and as a special bonus we have one eBook to give away! Thank you for letting me do a guest blog post on your site; Fagin’s Boy is still my new baby, and I’m pleased to share him with the world. I thought, that in light of this being the end of my virtual book tour with Historical Fiction Book Tours, I would try to think about the hardest part of writing, and about what makes (or helps) a writer push through to the endgame. I wanted to talk about fear. Being afraid is a large part of being a writer. But, luckily, so is being brave. And smart. And confident. Of course, the confidence can waver from time to time, so that’s where the brave comes in. You have to be brave to keep going when you are filled with so much self-doubt you could drown with it. And then comes the anger. Or, at the very least, a bull-headed determination not to let The Man wear you down to the point where you just do as he says, and go about your business, for there are no dreams to be lived here. Amidst this jumble of emotions that already belong to practically every writer, I wrote Fagin’s Boy. I wrote it after my first layoff, and I wrote it after my second layoff. I wrote it while I was unemployed (twice, for almost a year each time), and I wrote it while I was employed. I thought about writing it while I lay under the surgeon’s knife (twice) for a strange sort of oral cancer that has so few statistics that I’m not even a statistic. I wrote it as my father lay dying, and again (still) as my mother passed away. I grit my teeth and wrote it, even as all around me seemed a vast wasteland of aridity and despair. I wrote it and kept writing it because I could not do anything else that would keep me afloat. I wanted the book to be better than it is, but there was no other story for me to tell about Oliver and Jack than what’s between those pages. I longed to talk to someone about it, but those with whom I could easily converse about writing are no longer in my life. I wanted to keep the story close to my heart, and yet, I knew that the day would come when I would have to release it, and let the world judge as it would. Yet even with this trepidation, pushing the publish button on January 1, 2014, was like coming to the surface after a long time being underwater. That gasp of air, fresh and new, was as a new world to me. So what have I learned from all this? (For surely there’s a lesson in there somewhere.) That writing is my lifeline, and without it, I would be able to survive, let alone converse with others like a regular human being. I have mentioned that Fagin’s Boy was a touchstone for me, and it’s very true. From the time I started it to the day it was published, I used the in-progress work as a way to assure myself that this one thing, at least, was true and good. That I should keep going because the alternative was so much worse and that from it, other good things would come. My life has changed so much from the first day I put pen to paper because yes, the good stuff has come, at last. I’ve met and worked with so many good, talented, and kind people, that I’m amazed. They were out there all this time, and I never knew? I did something I’d never done before, and it worked out okay. 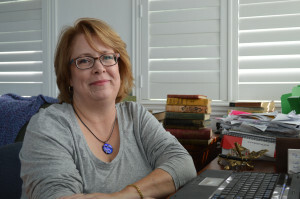 I went to the Historical Novel Society’s writer’s convention last year and learned so much about marketing and the publishing industry, and about the people in that industry who think that they can tell you what to do. And also people in that same industry who, conversely, want nothing but the best for you and your book. I learned that readers would not be up in arms about the path that Oliver and I took during this story. The feedback has been mostly positive, with some good criticism thrown in here and there, and this has given me great confidence. Not necessarily that I’m the best writer in the world, not by a long shot. But more importantly, that I have a voice and I can say what I want to say, and in the way that I want to say it. I can do this again. I can do it better, faster, with more heart and soul than I did before. And, last but not least, I know for sure 100% that there dreams to be lived here. Five years after Fagin was hanged in Newgate, Oliver Twist, at the age of seventeen, is a young man of good breeding and fine manners, living a quiet life in a corner of London. When Oliver loses his protector and guardian, he is able, with the help of Mr. Brownlow's friends, to find employment in a well-respected haberdashery in Soho. However, in the midst of these changes, Jack Dawkins, also known as the Artful Dodger arrives in London, freshly returned from being deported. Oliver's own inability to let go of his past, as well as his renewed and intimate acquaintance with Jack, take him back to the life he thought he'd left behind. Visit Christina Pilz's website for more information. You can connect with her on Facebook and Twitter. Passages to the Past has one eBook up for grabs. To enter please complete the form below. Giveaway is open internationally and ends on March 31st. This sounds a good read. The summary sounds great and I love the cover! OLIVER TWIST is a great favorite. Love the idea for your story. I am very intrigued by the idea of exploring the Dickensian fictional landscape further in the way this novel endeavors to do. I hope I get the chance to read it! Thanks for this feature and chance to win!